We’ve seen a number of rumors in the past that claims about a bigger screen iPhone in works, and by bigger, I mean an iPhone with a screen size of 5-inch or larger. The Wall Street Journal reports that Apple is testing iPhones with larger displays, ranging from 4.8 inches to 6 inches. The next-generation iPhones are expected to see the daylight on September 10th, but they will feature similar screen size as the current iPhone 5. Currently, Samsung is dominating the smartphone market as the company is offering devices with multiple screen sizes, ranging from small screens to massive 5.7 inch display of the recently announced Samsung Galaxy Note 3. Apple is expected to follow the same trend and offer multiple screen sizes for its future iPhones. This will help the company compete against Samsung in many emerging markets as well. Apple is already offering iPod and iPad in multiple screen sizes. The iPhone is the only product in Apple’s portfolio with a fixed screen size. 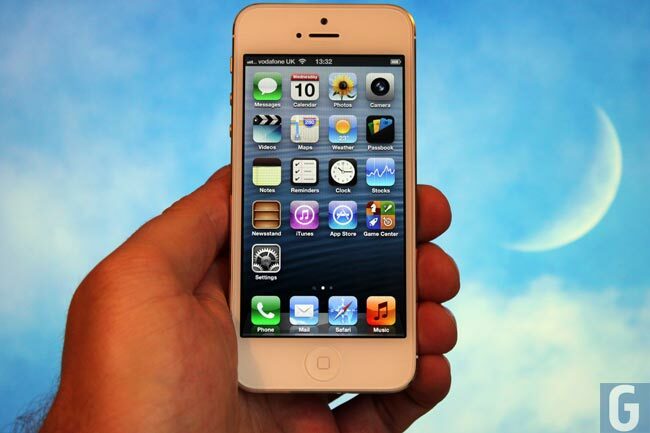 Apple did increase the screen size in iPhone 5, and offered the 3.5-inch iPhone 4/4S as well. Apple is expected to unveil two new iPhones, iPhone 5C and iPhone 5S, at the event next week. The iPhone 5C is expected to be the low cost version featuring plastic body and a variety of colors. On the other hand, iPhone 5S is expected to be a hardware improvement with A7 SoC, fingerprint scanner and will be offered in a gold/champagne color along with the classic black and white. Apple is expected to unveil the iPhone 5S and iPhone 5C next week in Cupertino with an expected shipping date of September 20. Have a look at our hands guides on the difference between the iPhone 5 and 5S, and the difference between the iPhone 5C and 5S.